A gas giant exoplanet is believed to be circling binary star HD 176051. 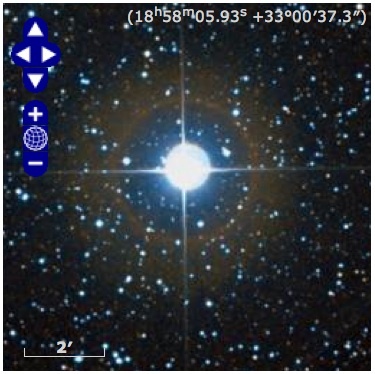 Both stars are similar in size to our own sun (1.07 and .71 solar masses); although it is not known which star the exoplanet orbits, it appears to be within the habitable zone of the star system. Space experts generally agree that the best way to explain how planets are formed in general is by slow accretion of material in the protoplanetary disk surrounding new stars. These disks are basically fields of debris, made up of cosmic dust and gas, which are left behind after a star is born inside a nebula. The debris begins to spin around the giant fireball, and eventually clump together to form planets and other space objects over millions of years. But such a formation process would have been impossible around HR 7162, experts say. This location would have made it impossible for the accretion disk to coalesce into something even remotely similar to a planet. Gravitational forces are strong enough near a regular star, but a binary is not only producing immense pulls, but also turbulences and interplays that would have certainly ripped through a surrounding protoplanetary disk with ease. But what the finding does support is an alternative theory on planetary formation, which holds that denser regions in the disks form the space bodies a lot faster, by collapsing under their own weight, under their own gravitational pull. The investigators behind the new study also determined that the second method would produce a large exoplanet within only a few thousand years. Science fiction writers did not invent the idea of inhabitable moons. In 1634, just twenty-five years after Galileo turned his new telescope on the moon, and announced its imperfect (and thus more Earth-like) surface, Englishman John Wilkins published his first scholarly work, entitled The Discovery of a World in the Moone: Or A Discourse Tending To Prove that 'tis probable there may be another habitable World in that Planet. SF writers, however, certainly popularized the idea. 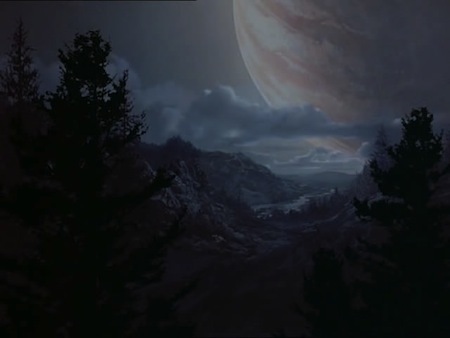 Depending on your fan preference, you might be thinking of Pandora, the gas giant exoplanet moon in the recent blockbuster Avatar. 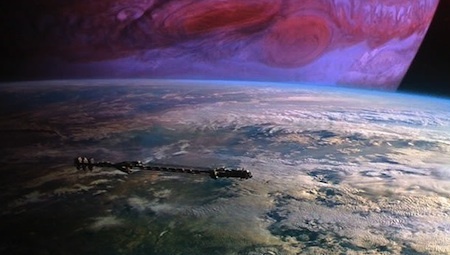 Or, you might be thinking the gas giant exoplanet forest moon Endor from Star Wars.